When the 2018 session ended, the immense public support and momentum of the Clean Energy Jobs bill helped shape an historic pathway to adoption in 2019. 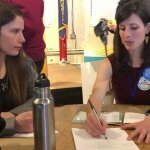 Our leaders in Oregon’s House and Senate created a first-of-a-kind committee to tackle carbon reduction and they approved dollars to pay for a Carbon Policy Office to inform the process and the public. The new committee, the Joint Interim Committee On Carbon Reduction, is led by Senate President Courtney and House Speaker Kotek. 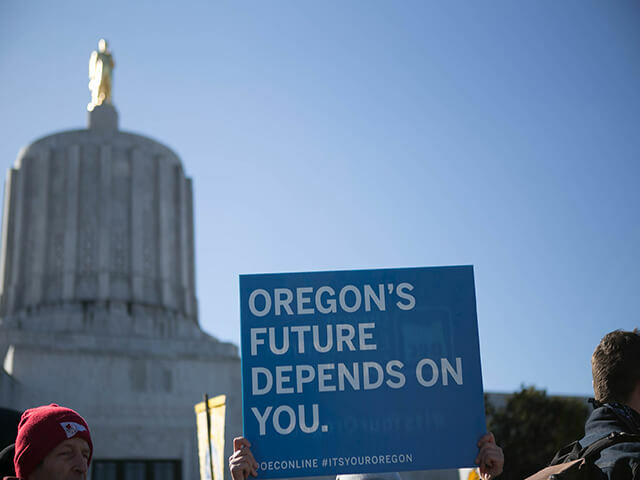 This summer, in just two meetings, lawmakers have heard from experts in science, economics and policy who have spoken about Oregon’s potential to draw down climate pollution, protect all our communities, and lead the nation to meaningful solutions. The problem has been defined, and Oregonians grow more concerned as heat waves and droughts last longer. For more than a decade, our lawmakers have studied and discussed capping and pricing climate pollution, and we’re thankful for the hundreds of hours spent in public meetings with business, rural and environmental sectors. Representatives from equity, faith, social justice, agriculture and industry groups have participated. 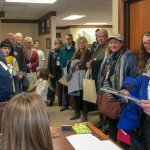 Thousands of Oregonians and hundreds of businesses have signed petitions in favor of the Clean Energy Jobs bill and the work toward making cap-and-invest a reality for Oregon. Oregon Environmental Council supports the adoption of a cap-and-invest program that put limits on climate pollution and invests in solutions that benefit all in our state. We must continue forward with momentum at our backs. We encourage you to contact our leaders to prioritize passage of the Clean Energy Jobs bill in 2019. 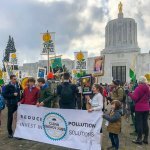 No Replies to "Call on Oregon leaders to move forward with Clean Energy Jobs"